Congratulations to the winners of the Language Video Competition! 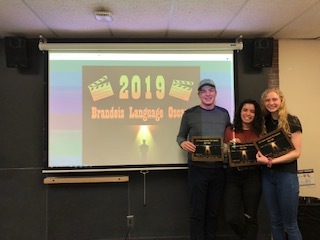 To see the video finalists in French and Francophone, Hispanic, and Italian Studies, check out the Brandeis Language Oscars page. On March 10, 2019, all members of the Brandeis community were invited to "Let's Dance! International Evening of Dance" that featured performances by various campus dance groups, brief dance lessons, international dance music, and various languages studied and spoken at Brandeis. Professor Lucía Reyes de Deu’s research has been featured on CONICET, Consejo Nacional de Investigaciones Científicas y Técnicas (National Scientific and Technical Research Council – Argentina), and also in La Gaceta (a daily newspaper in Tucumán, Argentina). Thank you to everyone who attended Kim Potowski's SPANISH IN THE US: Myths and realities event on Tuesday, February 27, 2018. If you missed the talk, check out the video! From The Justice: Mining for a Fair Deal, A Tribe in Northeast Colombia Clashes with a Coal Company in a Fight to Keep their Homes. Student of Italian Studies, Priya DeBerry, was featured in BrandeisNOW. For the summer 2015, Priya was awarded the essay prize in Italian Studies to study abroad in Siena. 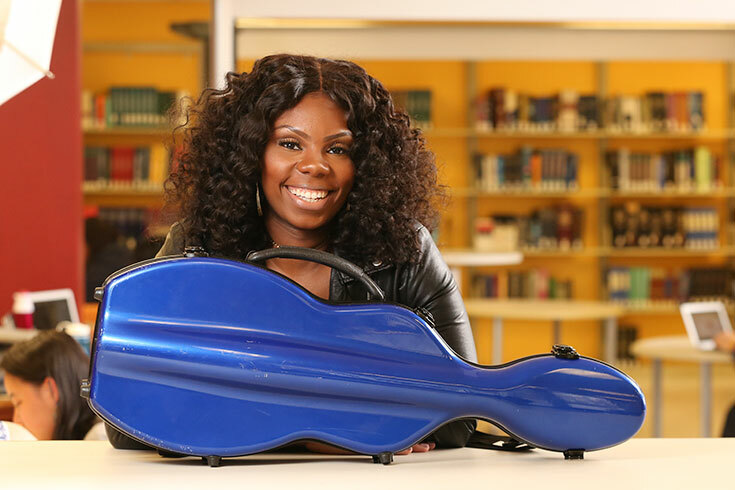 To learn more about her many talents and achievements, read her interview. Our own Paola Servino is mentioned as her biggest mentor. Congratulations to them both! Edward Kaplan publishes "Abraham Joshua Heschel: Une Biographie"
Professor Emeritus of French and Francophone Studies, Edward Kaplan, has recently published "Abraham Joshua Heschel: Une Biographie." The professor, rabbi, theologian and activist Abraham Joshua Heschel made a name for himself during the Civil Rights movement, criticizing the superficial tendencies of Judaism (both liberal and orthodox) along the way. His entire œuvre exalts the sanctity of human life through prayer, dialog and social work. Camilla Rose Prado-Irwin, winner of the Anna S. Aronson Memorial Award given to a student with outstanding promise in French and Francophone Studies. Brandon Sousa, rising senior, was recipient of the J.V. Cunningham Award for Excellence in Writing in the category of Foreign Language. His paper, "L'Art de Françoise," was judged to be an outstanding example of writing and critical thinking. Michael Pizziferri, class of 2015, has made connections between the French and Francophone Studies program and the Québec Government Office and will now be the director of operations and global education programs at WorldBoston. James Mandrell - "Nineteenth-Century Spanish Fiction and the Discourse on Food"
This project seeks to understand scenes in nineteenth-century Spanish fiction that involve food, moments which, if noticed at all, were read as reflecting nineteenth-century customs pertaining to food, including its preparation and by whom, the way it is served, and its consumption. However, detailed descriptions of foodstuffs and eating are more than reflections of customs in nineteenth-century Spain. These representations of food are complicit in discussions pertaining to national identity and tradition, the physical body and the body politic, social class and gender, and even technology and public health, all of which occur in a variety of texts, among them fiction, conduct manuals, periodical literature, cookbooks, and political and economic treatises. Azlin Perdomo, (Hispanic Studies, Romance Studies) "My American Girls"
Professor Perdomo will create an interactive art website that will engage students in the lives of five undocumented women she will interview. "Visually and structurally, it will closely resemble the American Girl website to invite the viewer to compare and confront how these immigrant women, not legally recognized as citizens, are indeed Americans," says Perdomo. Matthew D. Jasinski, winner of the Anna S. Aronson Memorial Award given to a student with outstanding promise in French and Francophone Studies. Jade Lara, rising sophomore, recipient of the J.V. Cunningham Award for Excellence in Writing in the category of Foreign Language. Samantha Chin, rising junior, recipient of the Brandeis Achievement Award for her outstanding scholarship and academic achievements. Erica Harth publishes "Red Hill Blues"
Professor Emerita of French and Francophone Studies and Women's and Gender Studies, Erica Harth, has recently published a mystery novel called Red Hill Blues. It is set in the 1950s Red Scare in a small New York village. Email Katie Dickinson or Ellen Rounseville about projects or news you would like to share.